Jasmine (far right), with her sister, Jenise, and parents, Jeffrey and Denise, taking in the 2012 Sugar Bowl in New Orleans. For as long as I can remember, U-M has been part of my life. 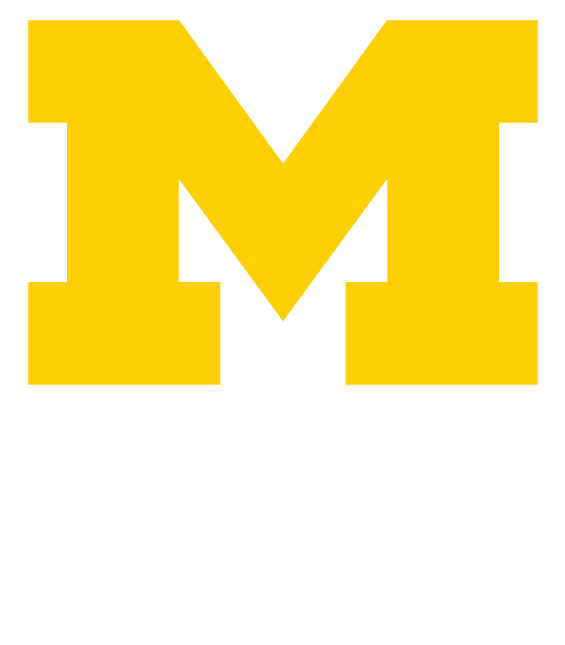 Growing up in the Sherwood Forest neighborhood of Detroit, the kitchen cabinets were always filled with Maize and Blue mugs and the closet had an abundance of Block M gear. Fall Saturdays meant waking up early with my sister to make the 44-mile journey with our parents to the Big House. Once, we even flew to New Orleans to watch the team play in the Sugar Bowl. As the daughters of two U-M alumni—who met on the day my mother moved into Alice Lloyd—our Wolverine upbringing was anything but subliminal. Not surprisingly, both my sister, Jenise, and I ended up at the University. As Wolverines, my mother, Denise Brooks-Williams, ’89, MHSA’91, and my father, Jeffrey Williams, ’89, MBA’97, were both very involved in Greek life, as well as a myriad of other campus activities. My mother worked in a research lab at the School of Public Health, while my father served as the speaker for the Black Student Union. Both were very active in the highly publicized sit-ins to eradicate racism that occurred on campus in the late 1980s. I realize now how lucky we were to have parents who were such Michigan role models, not to mention their college friends, a tightly knit group of Detroit natives who graduated with an array of degrees. While some of my parents’ college friends moved to other states, and even out of the country, a large portion moved back to Detroit. They started careers as doctors, lawyers, administrators, and business owners, and everyone took each other’s children under their wings. I saw the impact that U-M had on all these honorary “aunts” and “uncles,” and it made me want to attend the University. Thanks to our extended Wolverine family, I am now a freshman at U-M and Jenise, who beat me here, is a senior studying psychology. My sister and my experience, however, is not common in Detroit. Many young people in Detroit know very little about the University and cannot imagine having the chance to attend. Fortunately, my parents, who were both raised in Detroit by single mothers, found their way to U-M after graduating from Cass Technical High School. I know the University now has a number of programs to help teens in Detroit gain entry to U-M and others that assist with the cost. Friends of mine in the Detroit Public School Community District are increasingly aware of the American Talent Initiative, Wolverine Pathways, and the Alumni Association’s LEAD Scholars Program. (All are initiatives hoping to expand the number of low-and moderate-income undergraduate students at U-M). However, I didn’t know anything about these programs at my high school. Instead, my pathway to Michigan was my parents and their friends. My hope for the future is that more students in the Metro Detroit area find out about these programs, including the new Go Blue Guarantee scholarship, which offers four years of free tuition to in-state students on the Ann Arbor campus whose families earn $65,000 or less and have less than $50,000 in assets. But I also hope they will find U-M mentors, who will personally help guide them from Detroit to Ann Arbor. Jasmine Williams grew up in Detroit and graduated from Mercy High School in Farmington Hills, Michigan. She is a freshman in U-M’s Lloyd Hall Scholars Program.